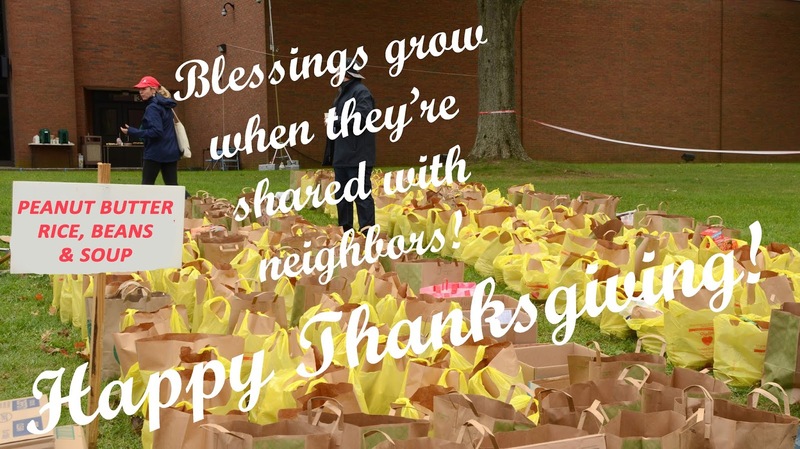 We feed our neighbors. Our food collection brought in over 15,000 lbs. of peanut butter, rice, beans, and soup. Our monetary donations support 15 local partner programs and global programs around the world through Church World Service Global. There is Enough for All and everyone deserves a place at the table each and everyday. Winning banner created by students at Red Bank Primary School. Students at Red Bank Primary School under the guidance of teacher aide Chelsea Foster collected coins during the month of October. 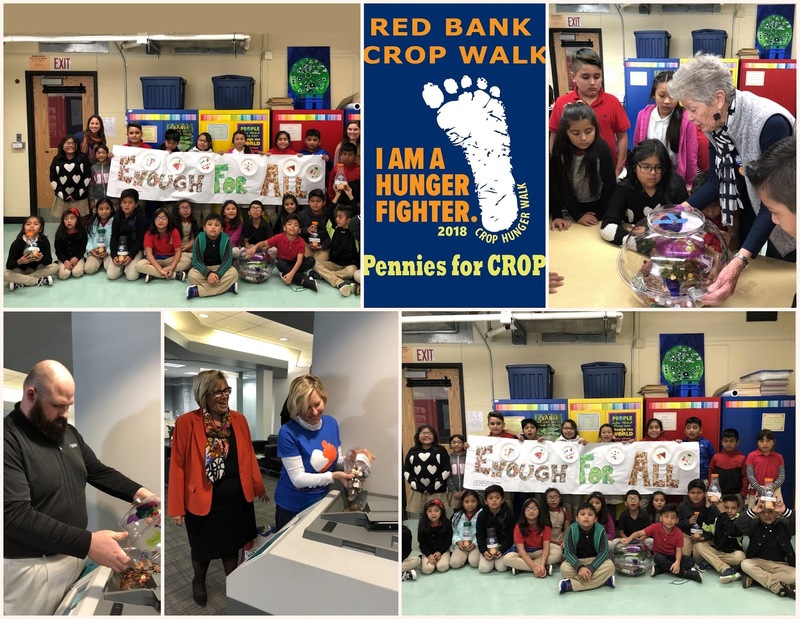 This was the second year the school participated in this fundraising project for our Red Bank CROP Hunger Walk. Thirteen classrooms used orange juice jars to collect their coins and later poured them all into a large painted globe (thank you Chelsea!) The globe was used to explain to the children how loose change can add up and help fight hunger locally and around the world. Principal Laugelli and the classroom teachers have been very supportive of this project. The children were delighted with the results. Their second year was just as successful as their first and they collected $265.65. Janie Schildge, walk coordinator was joined by Monica Faett our art contest chair. They delivered the coins at the Two River Community Bank Branch on Shrewsbury Ave. Thank you to Donna Marra and staff for assisting in the use of the coin counter and depositing the money into the CROP account. 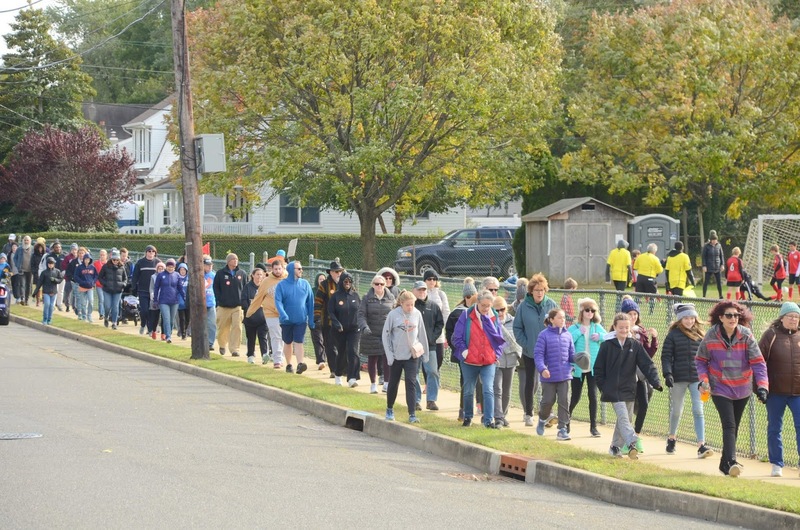 Hundreds of CROP Hunger Walkers braved the chilly autumn day to walk to end hunger. We thank the Garden State Amateur Radio Association. Under the leadership of Tom Cosgrove, the GSARA has been volunteering for several decades to keep our walkers safe. 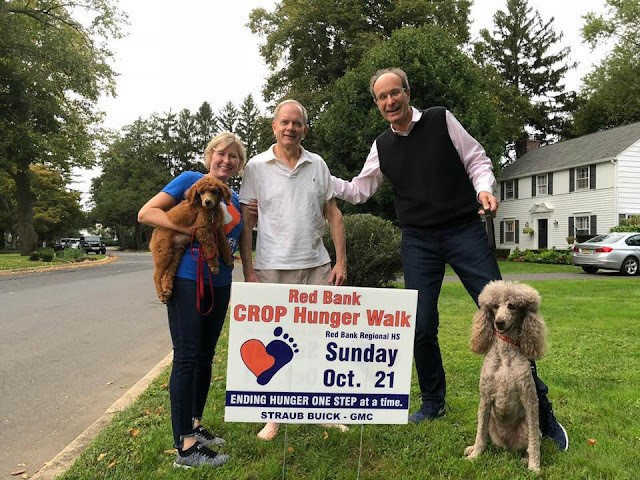 Tom coordinates with Fire Police, crossing guards and volunteer route monitors and the tired walker van provided by the Red Bank Senior Center. The crowd of walkers starts out at Red Bank Regional and fills the street along Cambridge, Harvard, and Harrison. 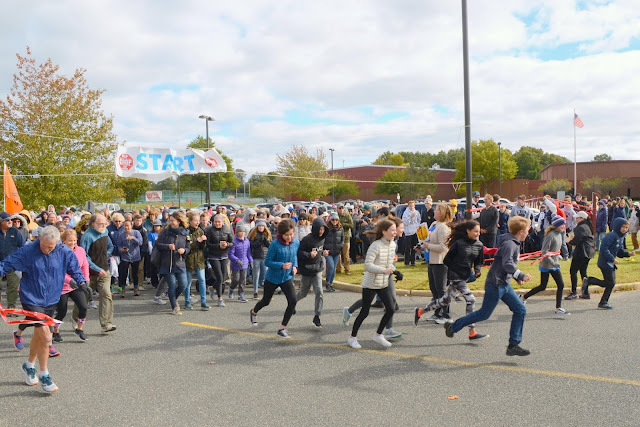 As runners and walkers spread out they move onto the sidewalks where volunteers provide direction as walkers cross intersections throughout the five miles through Little Silver, Fair Haven, and Red Bank. If you missed the day because of the weather, please remember that donations remain open through December 31st. 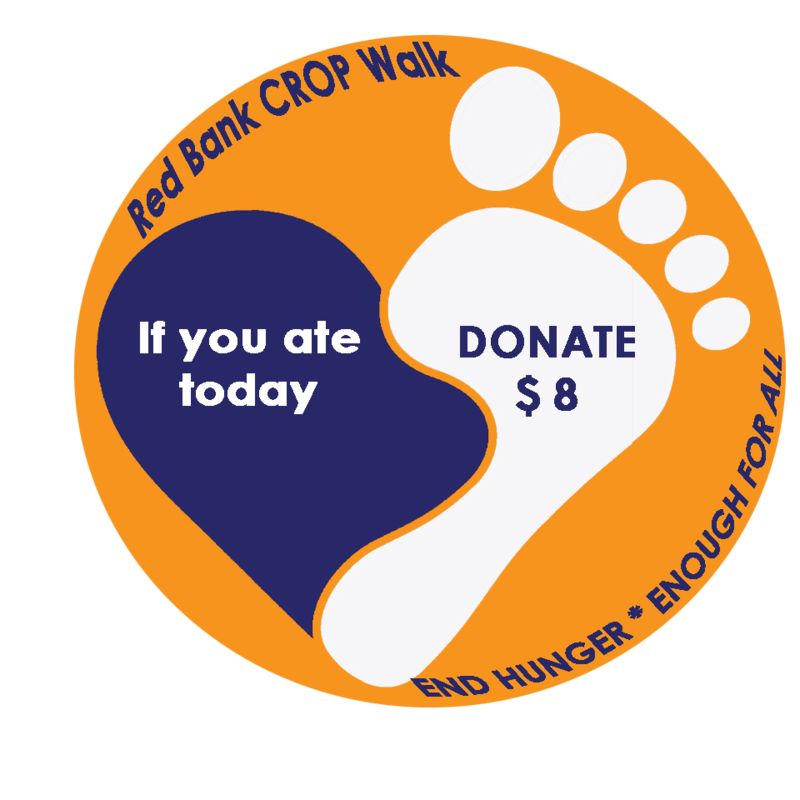 World Food Day and our 38th Red Bank CROP Hunger Walk, Oct. 21st, have come and gone. We thank everyone for making it happen! We had dozens of volunteers that helped to organize and keep the day running smoothly and kept walkers safe along the five mile route. 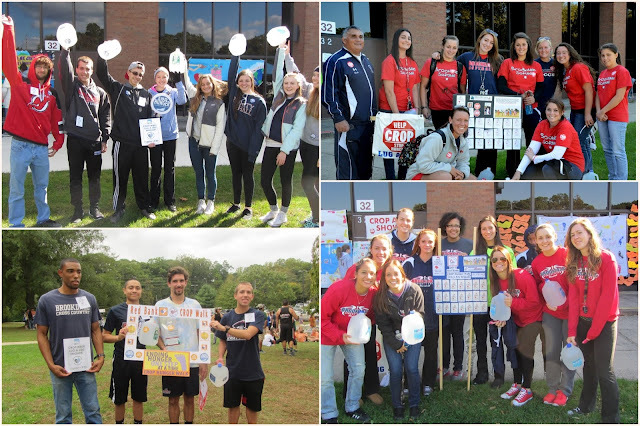 Our "CROP Walk Circle of Caring" included more than volunteers. It included walkers, runners, artists, musicians, photographers, sponsors, donors, moms, dads, grandparents, children, students, Short Stop the Clown, Cookie Monster, and even the family dog! They were all heroes of the day. 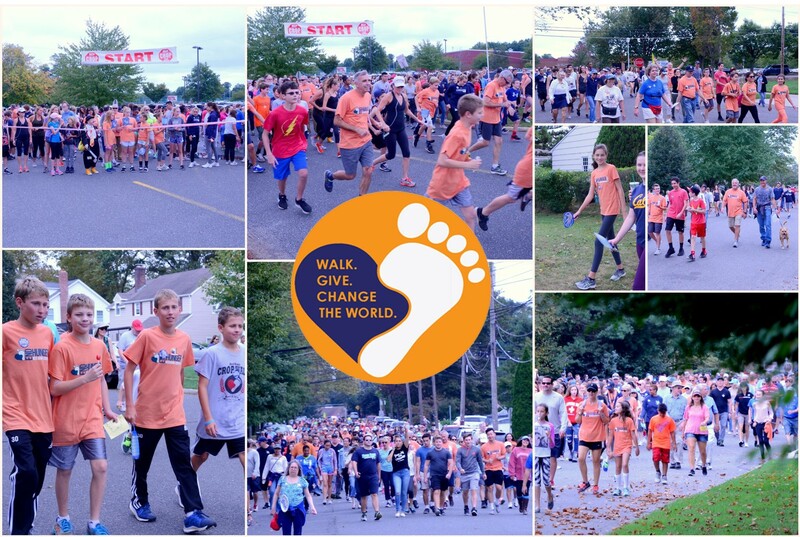 A little wind didn't keep them from walking to end hunger in the world. Our food collection exceeded our 2018 goal and over 15,000 lbs of food was distributed to two dozen local pantries by the end of the day. If you weren't able to join the crowd you can still contribute to our goals. Donations of any amount are appreciated and they add up. Don't ever think small donations don't matter. Every donation no matter the size will help us to reach our 2018 fundraising goals. We've had countless small donations over the course of the 38 years we've been walking in the Red Bank area to support our local programs. (15 in Monmouth County!) Those small donations are part of the reason we've raised over $100,000 each year since 2000. We can keep that momentum going in 2018. Our online teams are already over $25,000 and that's only one part of our fundraising efforts. If you ate today. Donate $8.00 or the price of your morning cup of coffee, that lunchtime smoothie, or that evening glass of wine. It all adds up to providing much needed support for our 15 local partner programs and the national and global programs supported through Church World Service Global. Donating online is easy. Give it a try. You can make an individual donation, donate to a specific walker or to a specific team. Start your own team! 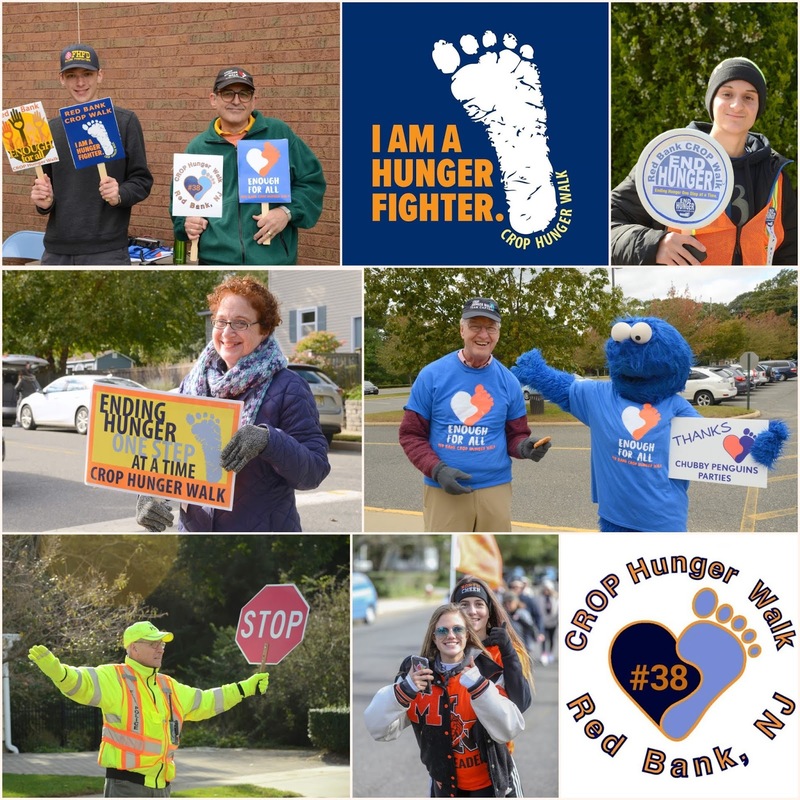 For 38 years, CROP Walkers in the Red Bank CROP Hunger Walk have stepped up to the start line on the Sunday closest to WORLD FOOD DAY. 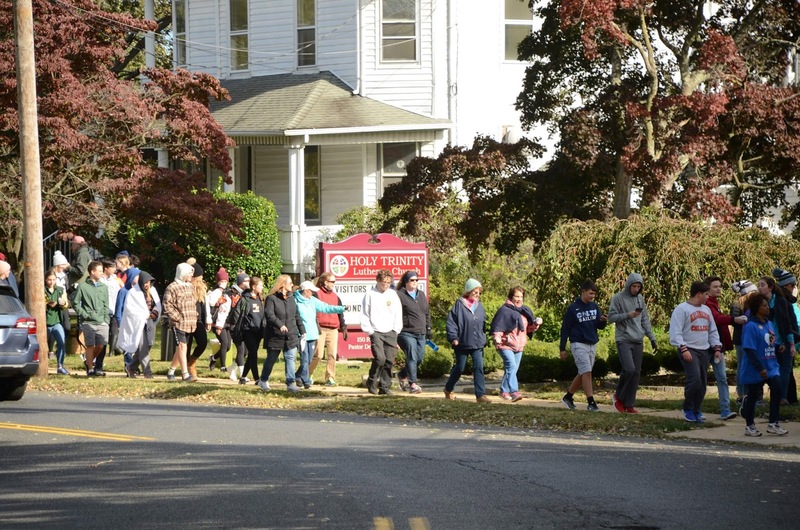 We walk this year on Sunday Oct. 21st. 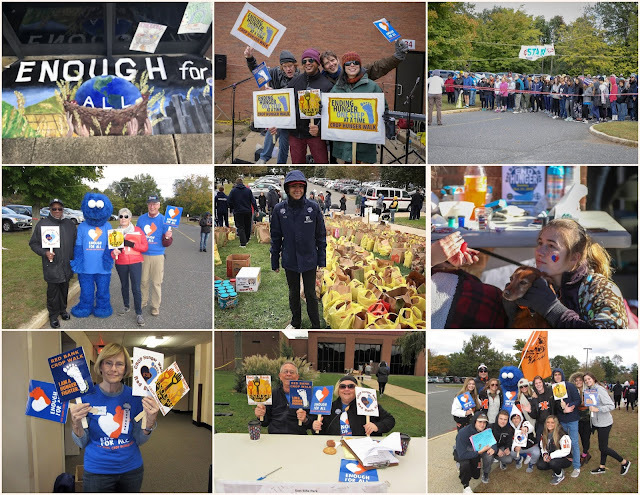 Join us in walking to provide ENOUGH for ALL. Your steps and fundraising help us get closer to reaching the ZERO Hunger Goal. Remember to bring some peanut butter, rice, beans and soup for our food collection. You can register and donate online here. Around the world there are millions of people that don't have ready access to clean water for their daily needs. Collecting that water usually falls to the women who often carry 40lb. gerry cans and walk miles to retrieve it for their families. Are you up for a challenge? Are you in shape? 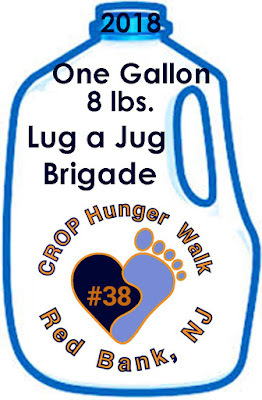 Could you walk our 5 mile CROP Hunger Walk carrying one 8 lb. gallon jug of water. Gather some friends and do it together. 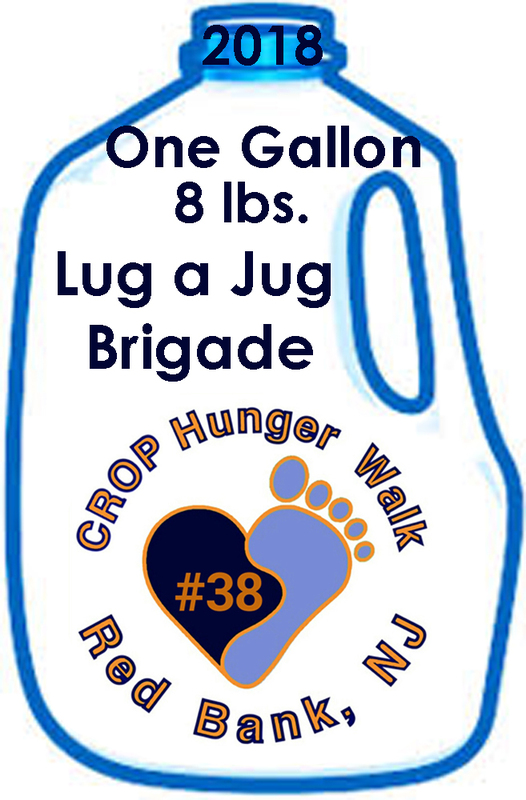 Bring you own gallon jug and we'll provide you with stickers to decorate it. If it seems like to big a challenge, try the buddy system and take turns carrying it. A few photos from past years showing student athletes from Brookdale Community College and Trinity Hall High School. Last year our global focus was on Vietnam and this year our focus has been on Indonesia where Church World Service has been working with the Zero Hunger Program. We thought it appropriate to share information on the most recent disaster in these islands. Our donations help locally and around the world. A 7.5-magnitude earthquake struck Central Sulawesi, Indonesia, on Friday night. The quake, and the resulting tsunami with waves up to about 10 feet high, leveled buildings and brought destruction to the city of Palu. As of 1 p.m. local time on September 30, 540 people had been severely injured and 29 were missing. The death toll has continued to climb; as of the morning of October 1, U.S. time, CNN reported a death toll of over 840. That number is expected to rise as debris is cleared. Search and rescue operations are underway. CWS staff acted immediately as news of the disaster broke across Asia, and our Indonesia team has been in touch with our ACT Alliance and Humanitarian Forum Indonesia colleagues since the first hours of the crisis to determine how best to respond. Staff in Thailand and Japan, which include humanitarian response experts, are supporting our Indonesia team and reaching out to their contacts as well. To start our response, CWS will send a small response team from Makassar, in South Sulawesi, to Palu. They will bring relief supplies that are not available – or no longer available – in the affected areas. Those will include tarps, blankets, buckets, soap, towels and more basic supplies that will be purchased locally. More information will be made available as this response unfolds. You can find updated information on the Church World Service website. Global Development You'll find information on Climate Change, Emergencies, Food Security, Water, Women and Children. We welcome Straub Motors of Hazlet to our CROP Walk family! They generously stepped up to sponsor our lawn signs this year. Pictured is Charlie Straub (center) who runs the dealership with his brother Remsen. Also pictured is Monica Faett one of our hard working committee members and her husband Alvin.